Today, the senate passed two critical bills in support of the State of New Hampshire’s Veterans. The first bill, SB 55, would provide private business employers with the ability to express a preference for hiring veterans and SB 75, which protects veterans from fraudulent trade practices that target our state’s veterans. 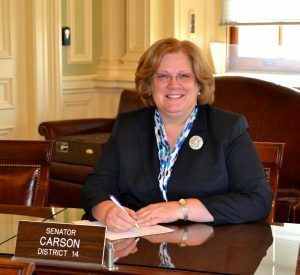 Senator Sharon Carson released a statement following the passage of these bills. “I commend my Senate colleagues for their full support of our veterans by passing two important bills that help us fulfill our responsibilities to provide services for our veterans, “said Senator Sharon Carson (R-Londonderry). Concord, NH – Today the Public and Municipal Affairs Committee heard a bill that would clarify the residency requirement for voting purposes in New Hampshire. The bill, SB 4, replaces the definition of domicile for voting purposes to more clearly identify New Hampshire residents who are legally able to vote in the state. 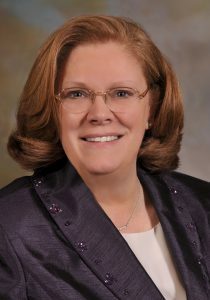 “The intention of this bill is to make sure legal residents of our state have meaningful elections so voters can affect change in the communities they are invested in,” said Senator Sharon Carson (R-Londonderry). “The Secretary of State Bill Gardner and I worked to produce a bill that would clarify the meaning of being a legal resident for voting purposes without infringing on an individual’s right to vote. Secretary Gardner is the state’s authority on elections and he has given his support of this bill,” Carson continued.